I was recently asked a question over social media that I instantly knew would produce a loaded answer. I gave a quick simple response at the time with the intent to answer it in depth here. The question sparked a lengthy discussion among my friends and I learned that this question would evoke answers that really can only be defined uniquely. There isn't a simple obvious answer to such a question, or at least I haven't found one yet. She wrote, "What's the hardest part about being a mil fam? It will be us soon with kids and I'm sure it's tough." Being a military family means that your spouse commits his or her life to the United States of America. That means that the rules and regulations, the mission, and the government comes first. Understanding that part and then accepting it, means that any challenges in dealing with your time as a military family, is basically rooted in that foundation. When my husband first left for training, it took some rough adjusting to the realization that we couldn't just do whatever we wanted. Every decision we made had to go through a series of processes. That caused a few meltdowns in the beginning. I remember crying one day, curled in a ball on the floor on the side of my bed, because we couldn't take him home with us one weekend because someone had broken a dorm rule and it meant all the trainees were to remain on base. But as time went on, you learn to adjust and find a new way of living. Because one thing every military family knows is that... plans change. And they change all the time. Adapting to broken schedules, dates constantly changing, and the every obvious, hurry up and wait, will be a staple in learning how to survive. Being far away from family and friends, is also a major challenge for many. This part is different for so many. For some, being away from their support system can be a great culture shock and one of the biggest challenges they face. Learning to form new support systems can be almost debilitating for some, but for other's it can be exciting. 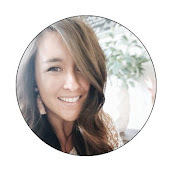 I'll dive into ways I, awkwardly but successfully, made a new community of support that formed deeper relationships than I had ever known, but for now, just know that for each person this struggle differs. But forming new relationships in the military means that it will lead to goodbyes, and goodbyes are often a challenge. In fact, they are hard. They are really, really hard. Whether you have to say goodbye again to family after a nice long visit, or goodbye to a new friend that has just been given a new assignment and moving far away, goodbyes just aren't easy. And then there is the dreaded deployment. I have yet to meet a military family that loves deployments. I have met many who know how to handle them with grace and ease, but they don't love them, that's for sure. I've written a post for another blog that I'll be sharing on my own soon regarding marriage and the deployment return, but really deployments fall as probably one of the hardest parts of being a military family. Lastly, for me, finding and developing my own career is almost like a crapshoot. Knowing my time is limited in one location means finding a job in your career field is a challenge, and darn near impossible for many. Military spouses put much of their career on hold, or on a long term development plan, while their active duty spouse moves up in rank and constant moves around the country. With all these challenges, I can say that joining the military was not only the best thing for my husband, but it was also the greatest passion our family has ever found. Every sacrifice, every challenge, and every struggle we face as a military family is worth it, not because we found some greater call in the military, but because we found OUR call. When you, as a family unit, believe in the heart and mission behind your service members role in the United States Military, everything you have and will face will be worth it. 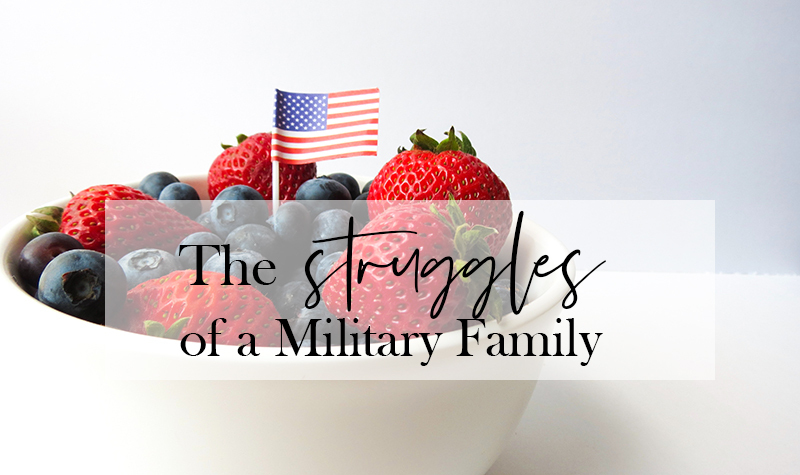 I know I haven't listed every challenge to being a military family, and maybe I haven't listed what was the hardest for you, so if you have a different answer, feel free to leave it in the comments below!